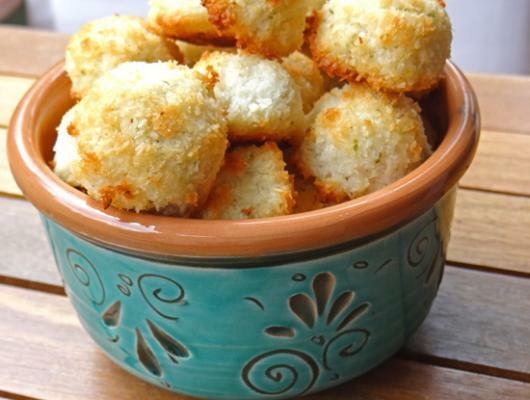 In a bowl, combine ⅔ of the coconut with the rest of the ingredients. Mix well with a spatula or wooden spoon. If the mix is too moist, add more coconut. Take a teaspoonful of mixture and press and form into a rough ball or dome. Place on a non-stick baking sheet and bake for 10-15 minutes, or until lightly golden. Don’t overbake or they will be dry. 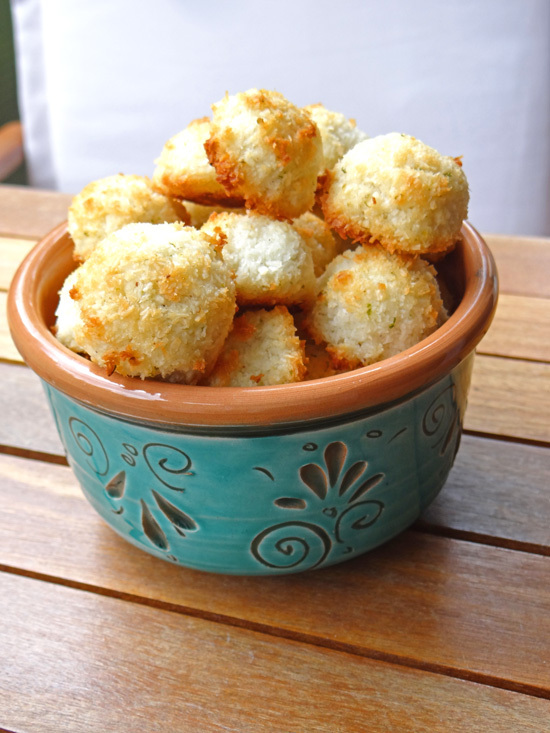 These coconut lime bites are crunchy on the outside, chewy on the inside, with a pop of bright lime… you’ll be loving them all summer!